HomeUncategorizedThe HUFF AND HOPE “Experience” Event. RAISE your Spirituality and Connect with Spirit. 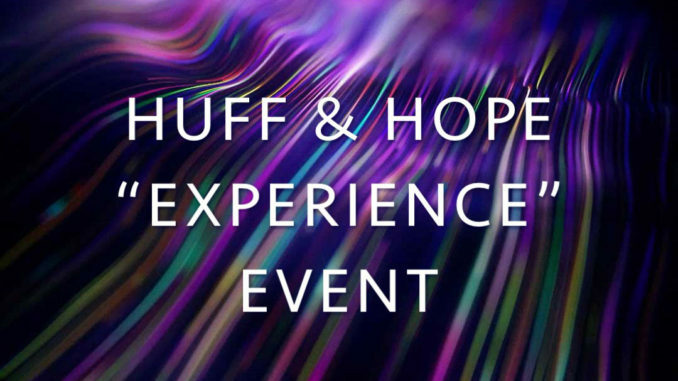 The HUFF AND HOPE “Experience” Event. RAISE your Spirituality and Connect with Spirit. August 8, 2018 Uncategorized Comments Off on The HUFF AND HOPE “Experience” Event. RAISE your Spirituality and Connect with Spirit. I am teaming up with my good friend Josh Louis from HOPE Paranormal to create a series of three live “experience” events. No, these will not be meeting at “hotspot” locations for ghost hunts, but something much different. Something that has never been done before within this field of ITC. Our plan is to do three of these “Experience” Events in 2019, in three beautiful and spirit filled locations across the country. West Coast, East Coast and Midwest. This will be a 2-3 day event and it will be focused on learning all about how to connect with spirit, how to channel in love and light energy, and also how to properly use devices, record, review and even edit your sessions. We will go over the why, the what and the how and you will learn first hand, live, how to do what we do and connect like never before. We all have the capability to connect with the afterlife. ALL of us. We just have to learn how to do it, and that is what you will learn at these hands on events. There are four keys to this and we will explain them all, and all who attend will participate in exercises with us to help build or strengthen the connection to the other side. We will do small sessions, and review in real time. We will show how we film a video and take it from recording to finished product and you can edit along with us as we review the evidence. After the talks and exercises we will go to a location where you will use devices to connect and put all you have learned into action. By the end of it all you will have your own video of the experience, the evidence we caught that you will experience first hand and a new understanding of how to truly build and connect with spirit for the purpose of communication. We will not just explain it all, but we will be hands on, and WILL speak with the spirits who will be with us. Live. We will also explain and show evidence as to why this comes from LOVE and GOD, not the Devil. Yes, evidence is there for all to see. Between us both, Josh ad I have 15 years experience of deep spirit communication. We have learned many things about how to build a connection, how to maintain it, how to balance it and again, the four key things we need to know that surprisingly not many, if any, put into practice when contacting the afterlife. We are following our path to spread love, light and the correct ways to use that for contacting spirit. I am excited for this and I know Josh is as well. We are in the planning stages now, and when we have all details we will post the 1st location and info and pricing for this immersive weekend EXPERIENCE EVENT. We look forward to meeting some of you and sharing what we have learned over the years with as many as we can. We will be documenting them all as well for all to see and if successful will be a yearly thing.